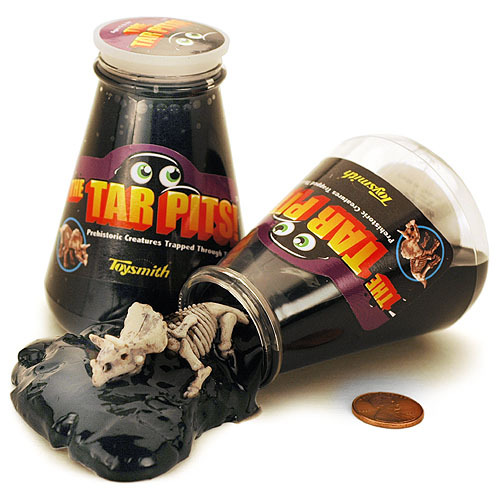 Get your hands on your very own scientific shaped jar filled to the rim with a thick, black, gooey substance, the kind of substance that kids really take pleasure in investigating! Upon examination, you’ll find two prehistoric skeletal creatures that have been trapped through time. Dig into the jar and see if you can find them, then identify the species.